Heavy duty ratchet straps are the basic need for cargo and seaports. They are required for various destinations where heavy duty products are keeping into a row by binding them to each other. They are designed and manufactured according to GS/TUV; while they come with high quality ratchet buckle and hooks to keep anything tight. 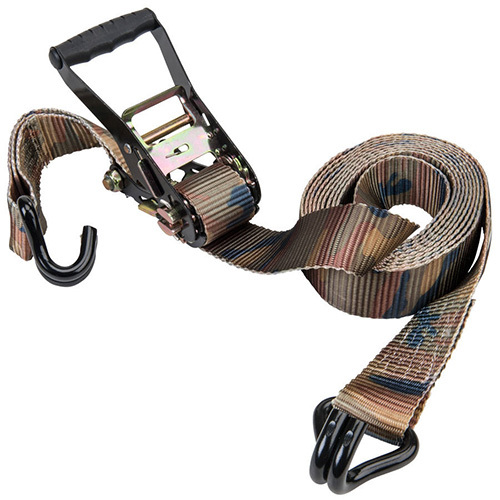 Not to mention abrasion-resistant polyester webbing and 100% high tenacity polyester of heavy duty ratchet straps. There are various benefits that you will get heavy duty ratchet straps. Come with the capability of 10000kg, heavy duty ratchet straps are carefully crafted by advanced machines imported from Taiwan & Korea; while the material used in making is of high quality. The amazing ratchet handles are stable and won’t be stuck. These straps can be recycled and protect the goods well. They are ideal to reduce the damage of goods for the duration of transportation. Now, what is more important than anything else is the selection of right company that has been offering you a variety of straps. If you are looking for such company who provide premium quality heavy duty ratchet straps, name of Welldo Tools comes on the top. Having been into the profession for many years, the leading ratchet straps manufacturer is able to bring you a variety of straps at competitive prices. You only need to give a call or send a mail and leave rest of the work on experts working here.